Loubee Lou Blogs: The Butterfly Club: Book Review. 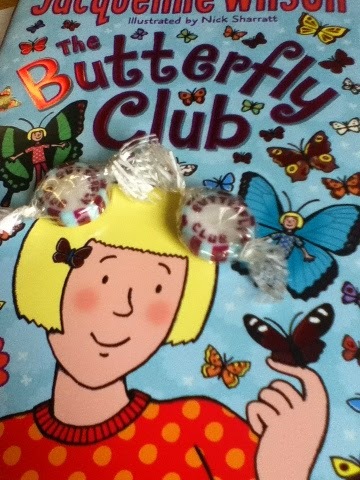 The Butterfly Club: Book Review. 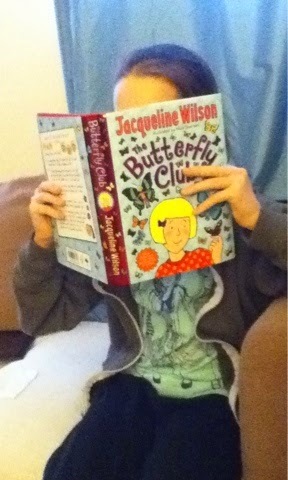 Growing up, Jacqueline Wilson books were always the first ones I would reach for. I have read so many of her books like The Lottie Project, Lizzie Zipmouth and Girls in Love and I have definitely passed that love down to my little sisters. Luckily enough I was sent a copy of Jacqueline Wilson's 101st book by Penguin Random House for everyone in my house to try (Yes, even at 19 I was so excited to read it). The book is aimed at 6-10 year olds and my sisters were all so excited to give the book a try. The main story focuses on triplets Tina, Phil and Maddie. 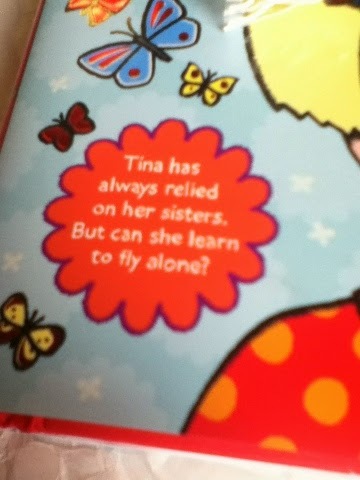 All three of the girls should have been identical but Tina was born slightly smaller and more delicate than the other 2. Tina has a heart defect and is still wrapped in cotton wool by her whole family. Tina is used to manipulating situations to benefit her but everything changes when she gets to school and meets her new teacher and class. Tina has to stand on her own two feet. So I passed the book around the house. My oldest littlw sister Gemma (10) read the book in 3 days. She was gripped from start to finish. So I asked her a few questions. Who was your favourite character in the book and why? I loved Tina. She's so small and funny. She reminded me of my sister always moaning about her height. What part of the story was your favourite? I enjoyed when Tina realised that the bully Selma had a reason for being so rude. She didn't know any better. 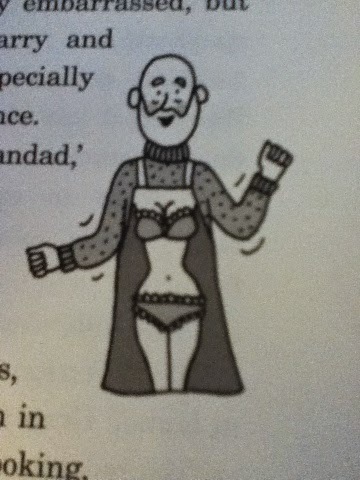 Although she never mentioned it, she laughed out loud when she saw this picture of Tina's grandad. 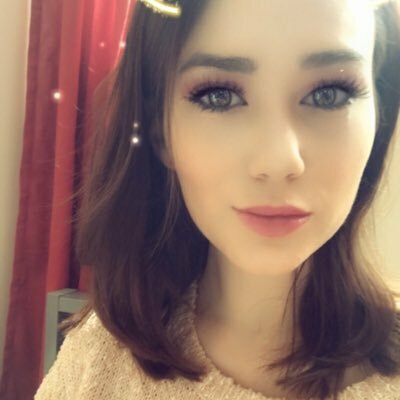 Who could you relate to? I actually related to Selma. Sometimes I forget my manners but good friends help bring out my best side. What did you learn from this book? That even if you're small you still have the same opportunities as everyone else. Oh and that my favourite butterfly is the blue morph something. My friends. I think year 6's will enjoy it. The change to year 7 is a big thing and this book will help. From my point of view the story is all about friendship, courage and confidence. It's a lovely light story with environmental themes and all the while reminding children that you should always embrace who you are and be true to yourself. Perfect for children of any age and specifically those who are going through big changes. You can watch Jacqueline introduce her book here. The book also has a cute little recipe for Tina and Selma's cupcakes which I made. I changed the topping a bit because the butterfly wings were just too fiddly for a Monday morning (when I baked them obviously). Aw so cute! 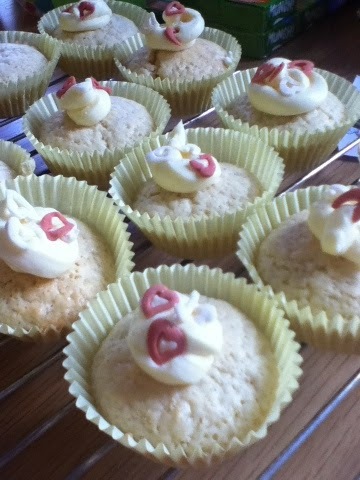 and those cupcakes look so yummy!